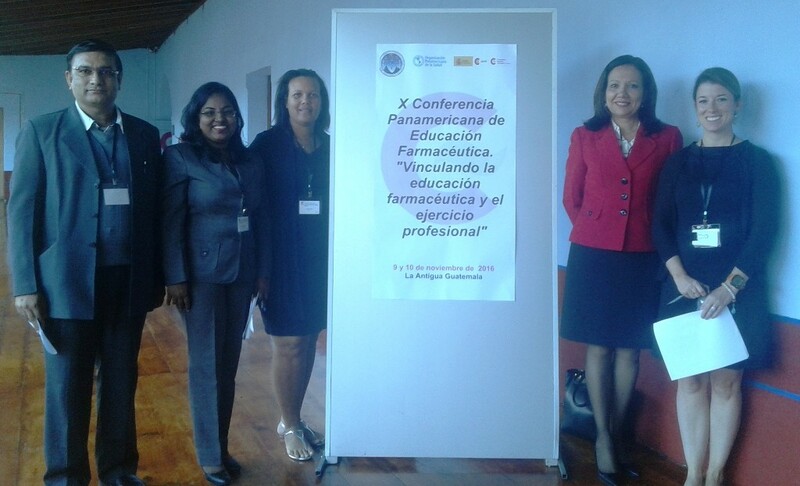 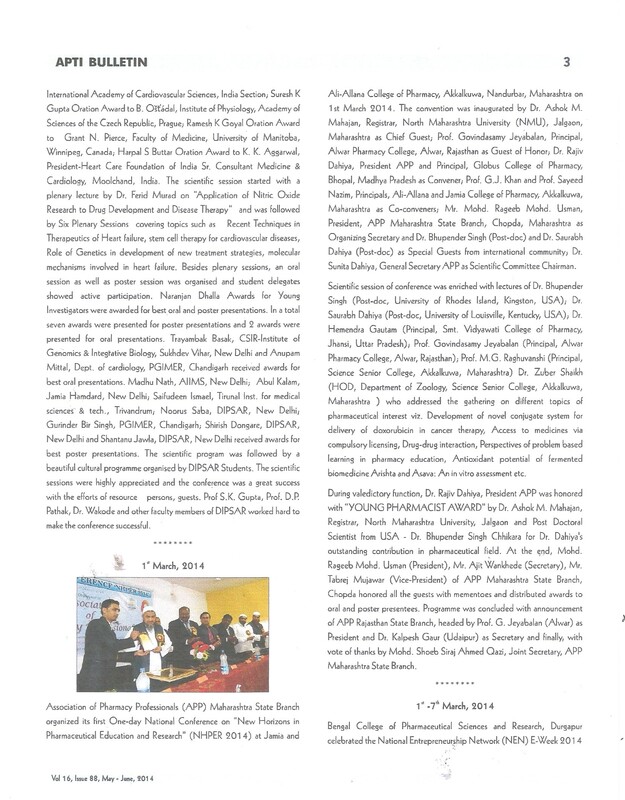 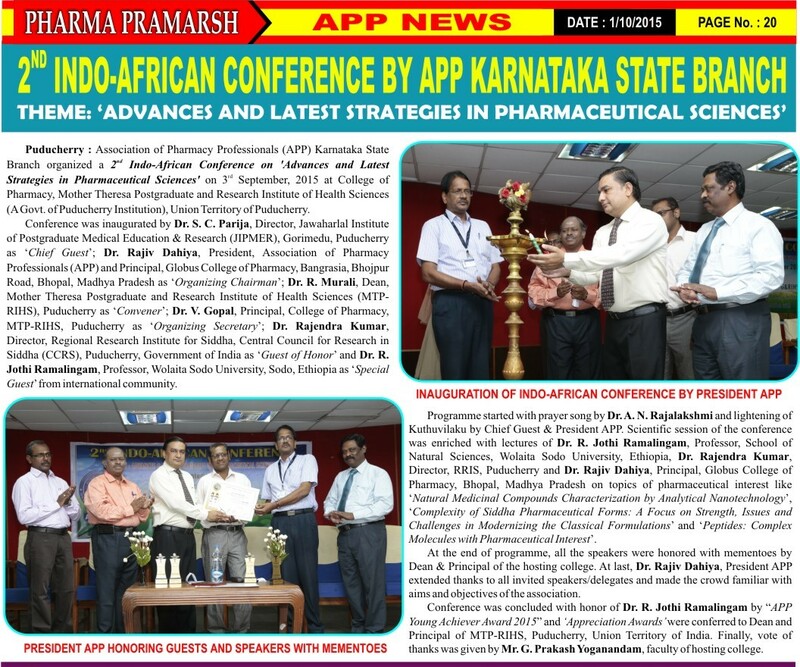 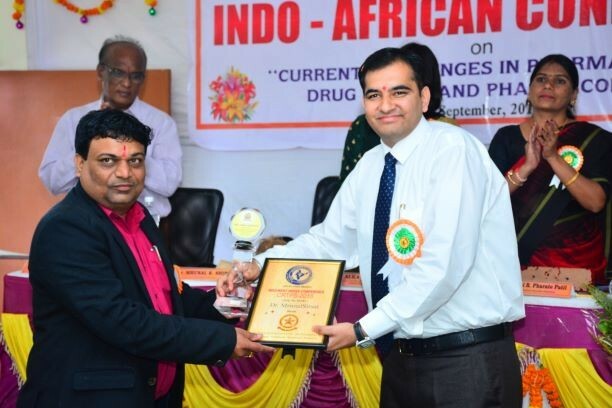 Association of Pharmacy Professionals (APP) Karnataka State Branch organized a 2nd Indo-African Conference on ‘Advances and Latest Strategies in Pharmaceutical Sciences’ on 3rd September, 2015 at College of Pharmacy, Mother Theresa Postgraduate and Research Institute of Health Sciences (A Govt. 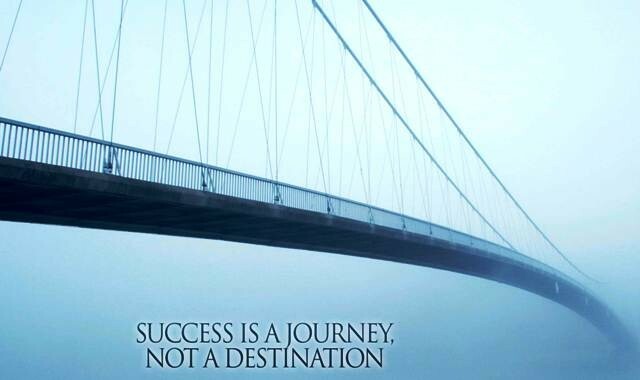 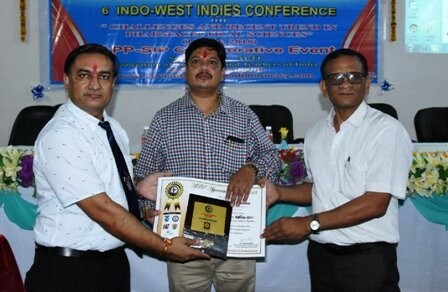 of Puducherry Institution), Union Territory of Puducherry. 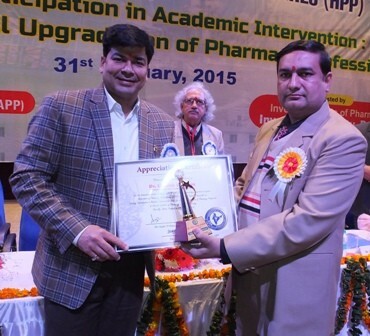 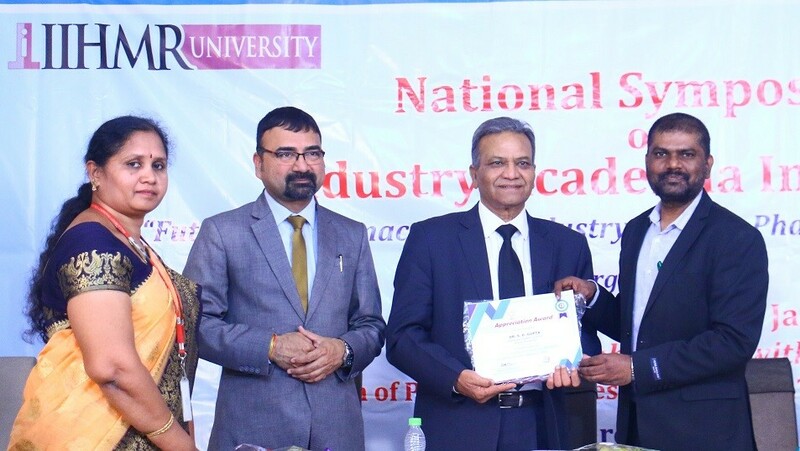 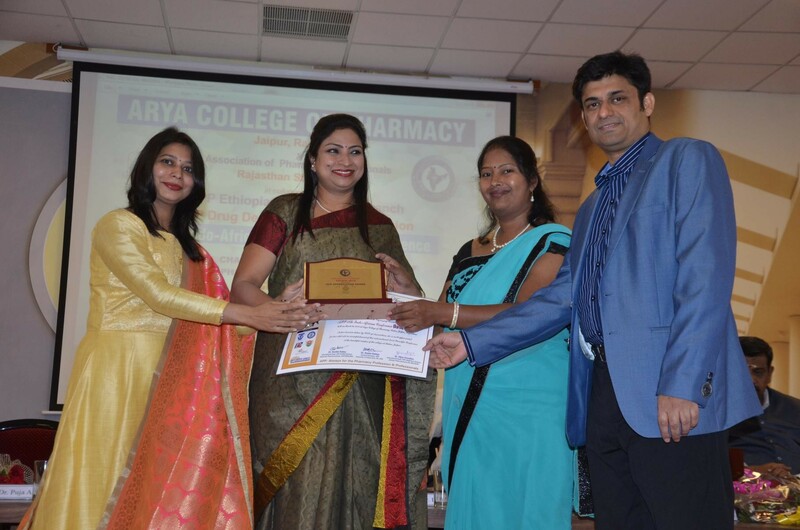 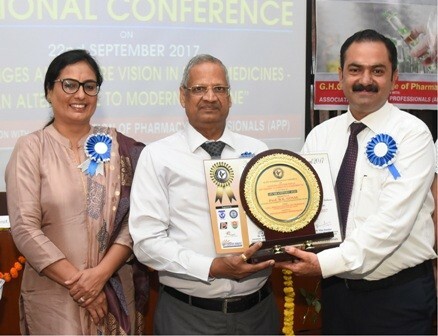 Conference was inaugurated by Dr. S. C. Parija, Director, Jawaharlal Institute of Postgraduate Medical Education & Research (JIPMER), Gorimedu, Puducherry as ‘Chief Guest’; Dr. Rajiv Dahiya, President, Association of Pharmacy Professionals (APP) and Principal, Globus College of Pharmacy, Bangrasia, Bhojpur Road, Bhopal, Madhya Pradesh as ‘Organizing Chairman’; Dr. R. Murali, Dean, Mother Theresa Postgraduate and Research Institute of Health Sciences (MTP-RIHS), Puducherry as ‘Convener’; Dr. V. Gopal, Principal, College of Pharmacy, MTP-RIHS, Puducherry as ‘Organizing Secretary’; Dr. Rajendra Kumar, Director, Regional Research Institute for Siddha, Central Council for Research in Siddha (CCRS), Puducherry, Government of India as ‘Guest of Honor’ and Dr. R. Jothi Ramalingam, Professor, Wolaita Sodo University, Sodo, Ethiopia as ‘Special Guest’ from international community. 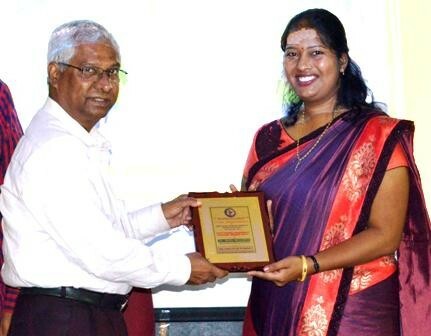 Programme started with prayer song by Dr. A. N. Rajalakshmi and lightening of Kuthuvilaku by Chief Guest & President APP. 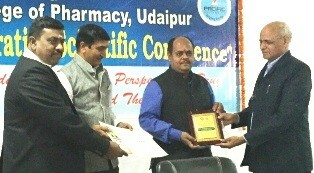 Scientific session of the conference was enriched with lectures of Dr. R. Jothi Ramalingam, Professor, School of Natural Sciences, Wolaita Sodo University, Ethiopia; Dr. Rajendra Kumar, Director, RRIS, Puducherry and Dr. Rajiv Dahiya, Principal, Globus College of Pharmacy, Bhopal, Madhya Pradesh on topics of pharmaceutical interest like ‘Natural Medicinal Compounds Characterization by Analytical Nanotechnology’, ‘Complexity of Siddha Pharmaceutical Forms: A Focus on Strength, Issues and Challenges in Modernizing the Classical Formulations’ and ‘Peptides: Complex Molecules with Pharmaceutical Interest’. 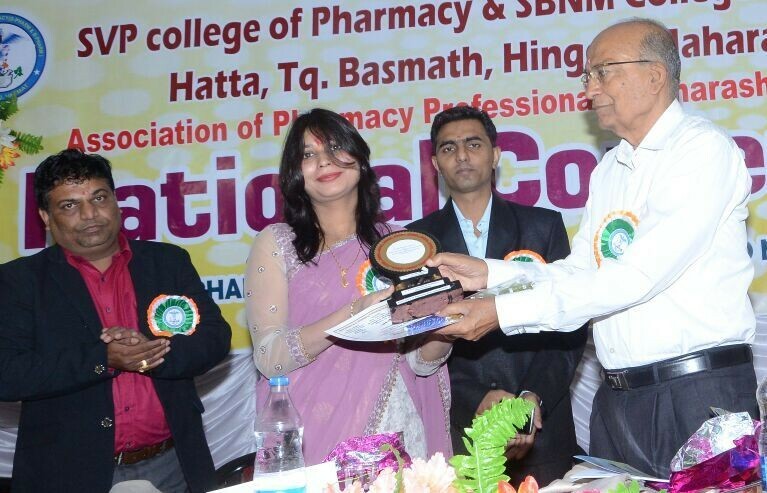 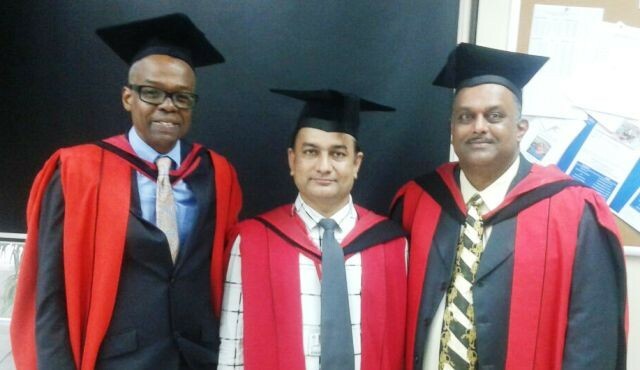 At the end of programme, all the speakers were honored with mementoes by Dean & Principal of the hosting college. 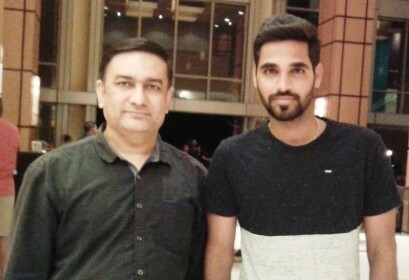 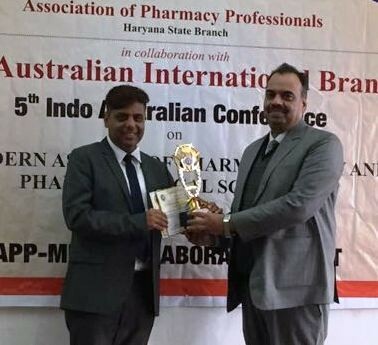 At last, Dr. Rajiv Dahiya, President APP extended thanks to all invited speakers/delegates and made the crowd familiar with aims and objectives of the association. 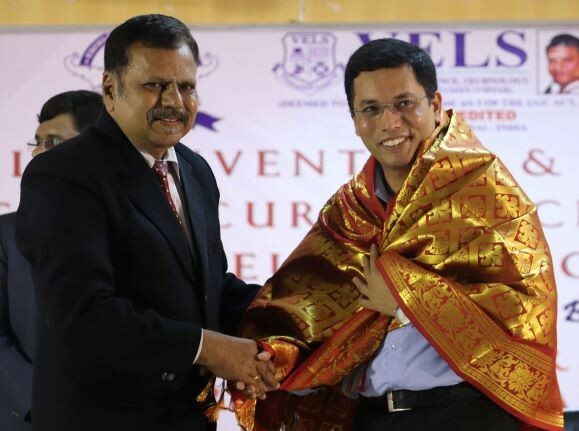 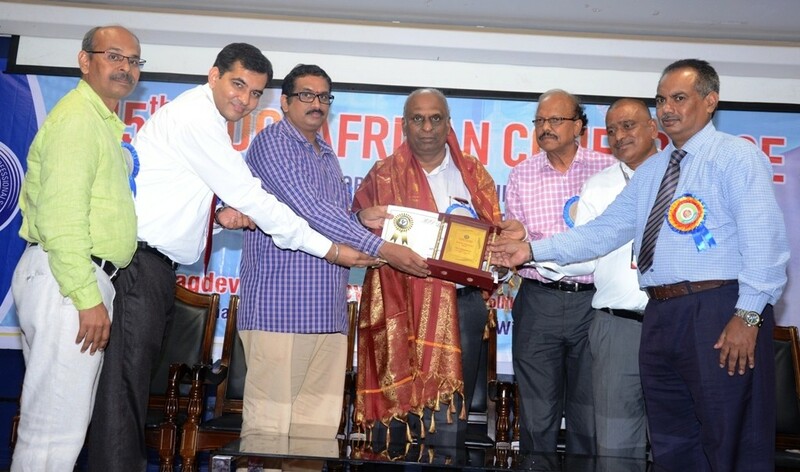 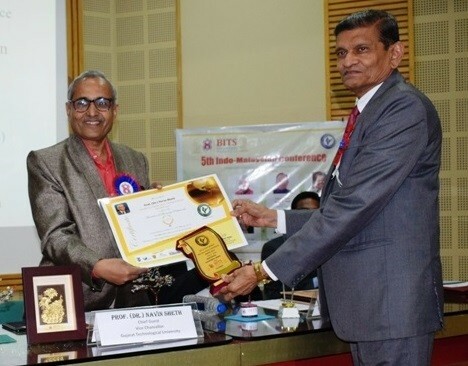 Conference was concluded with honor of Dr. R. Jothi Ramalingam by “APP Young Achiever Award 2015” and ‘Appreciation Awards’ were conferred to Dean and Principal of MTP-RIHS, Puducherry, Union Territory of India. 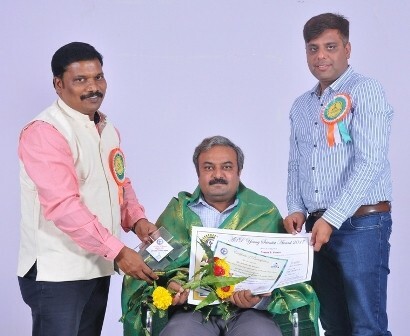 Finally, vote of thanks was given by Mr. G. Prakash Yoganandam, faculty of hosting college. 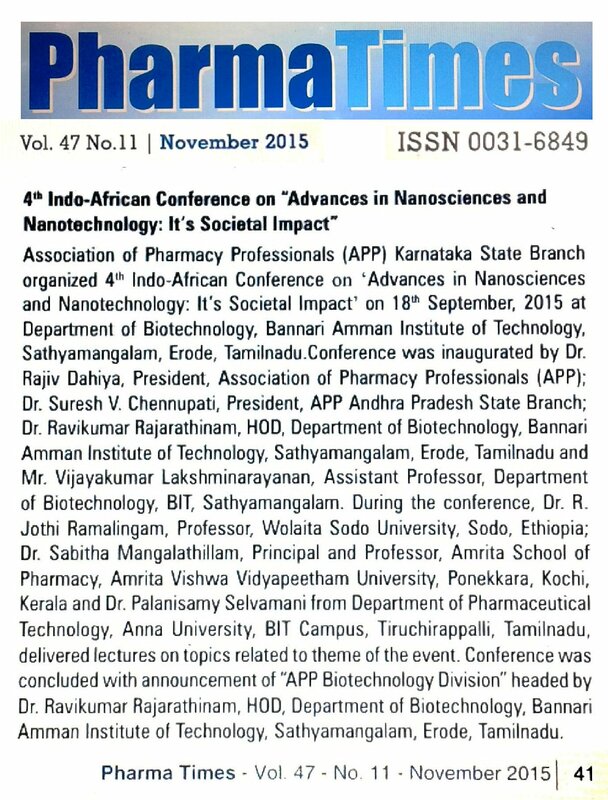 Association of Pharmacy Professionals Karnataka State Branch organized 4th Indo-African Conference on ‘Advances in Nanosciences and Nanotechnology: It’s Societal Impact’ on 18th September, 2015 at Department of Biotechnology, Bannari Amman Institute of Technology (BIT), Sathyamangalam, Erode, Tamilnadu. 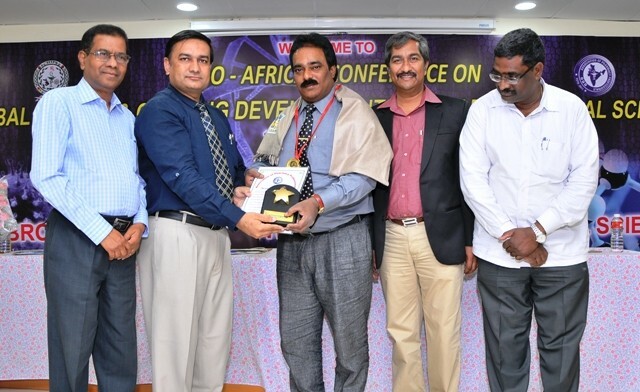 Conference was inaugurated by Dr. R. Jothi Ramalingam, Professor, Wolaita Sodo University, Sodo, Ethiopia as ‘Special Guest’from International Community; Dr. S. V. Balasubramaniam, Chairman, BIT, Sathyamangalam as ‘Patron’; Dr. D. Saravanan, Principal, BIT, Sathyamangalam as ‘Convener’; Dr. Ravikumar Rajarathinam, HOD, Department of Biotechnology, Bannari Amman Institute of Technology, Sathyamangalam, Erode as ‘Organizing Secretary’; Dr. Rajiv Dahiya, President, Association of Pharmacy Professionals (APP) and Principal, Globus College of Pharmacy, Bangrasia, Bhojpur Road, Bhopal, Madhya Pradesh as ‘Organizing Chairman’; Dr. Suresh V. Chennupati, President, APP Andhra Pradesh State Branch as ‘Guest of Honor’; Mr. Vijayakumar Lakshminarayanan, Assistant Professor, Department of Biotechnology, BIT, Sathyamangalam, Erode, Tamilnadu as ‘Coordinator’. 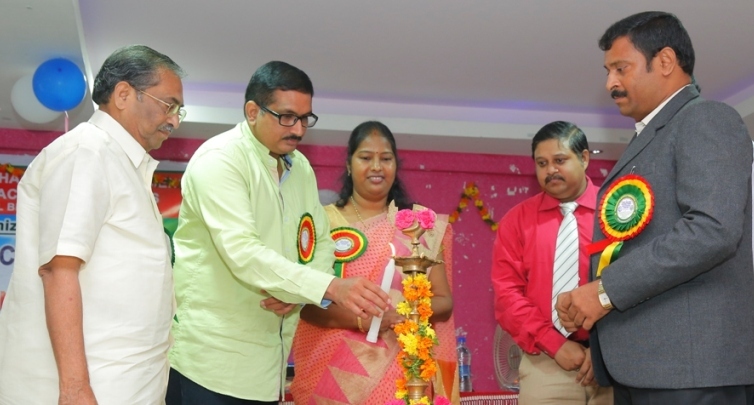 Programme started with prayer song, lightening of lamp followed by launching of ‘APP Biotechnology Division’ constituted by Dr. Ravikumar Rajarathinam, HOD, Department of Biotechnology, Bannari Amman Institute of Technology, Sathyamangalam, Erode, Tamilnadu as ‘Divisional Head’; Dr. P. Sureshkumar (Anna University, Trichy, TN) as ‘Coordinator’; Dr. Ruchi Jain (SIRT-Pharmacy, Bhopal, MP) as ‘Coordinator’; Dr. Sanjeev Mourya (Invertis University, Bareilly, UP) as ‘Coordinator’; Dr. Rajesh Patel (Ganpat University, Kherva, GJ) as ‘Coordinator’; Mr. Vijayakumar L. (BIT, Sathyamangalam, TN) as ‘Coordinator’. 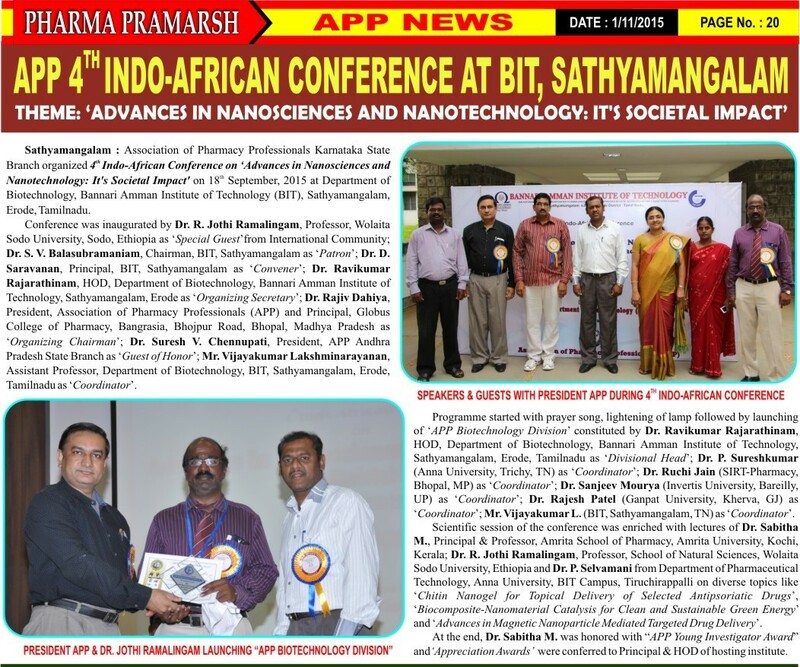 Scientific session of the conference was enriched with lectures of Dr. Sabitha M., Principal & Professor, Amrita School of Pharmacy, Amrita University, Kochi, Kerala; Dr. R. Jothi Ramalingam, Professor, School of Natural Sciences, Wolaita Sodo University, Ethiopia and Dr. P. Selvamani from Department of Pharmaceutical Technology, Anna University, BIT Campus, Tiruchirappalli on diverse topics like ‘Chitin Nanogel for Topical Delivery of Selected Antipsoriatic Drugs’, ‘Biocomposite-Nanomaterial Catalysis for Clean and Sustainable Green Energy’ and ‘Advances in Magnetic Nanoparticle Mediated Targeted Drug Delivery’. 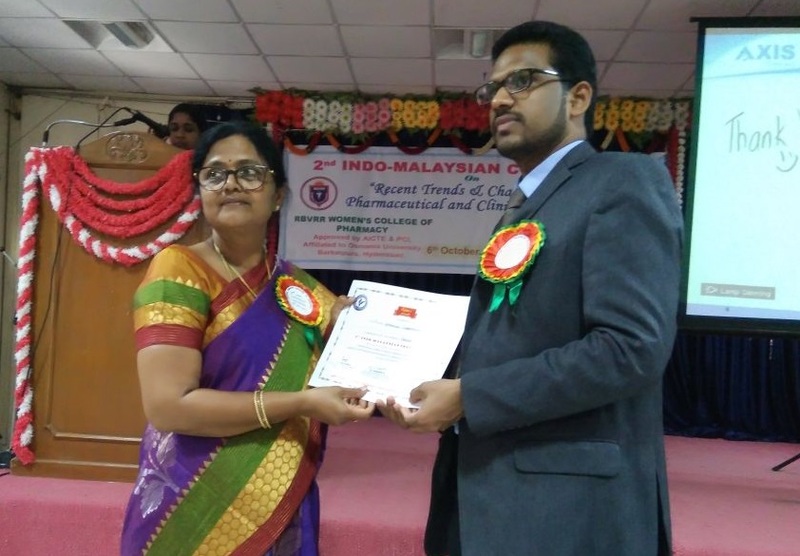 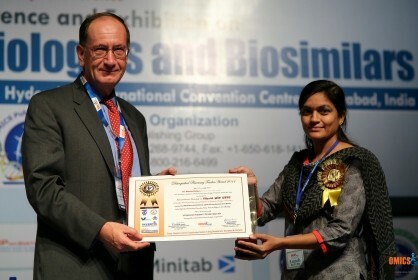 At the end, Dr. Sabitha M. was honored with “APP Young Investigator Award” and ‘Appreciation Awards’ were conferred to Principal & HOD of hosting institute. 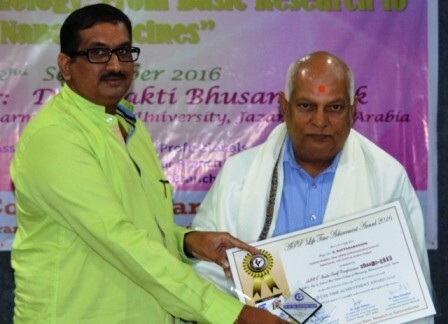 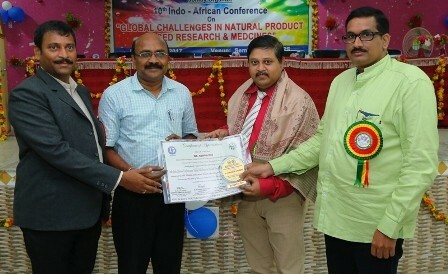 Association of Pharmacy Professionals (APP) Karnataka State Branch organized 10th Indo-African Conference on ‘Global Challenges in Natural Product Based Research and Medicines’ in collaboration with APP Ethiopian International Branch, on September 6, 2017 at Narasaraopeta Institute of Pharmaceutical Sciences, Narasaraopet, Guntur, Andhra Pradesh. 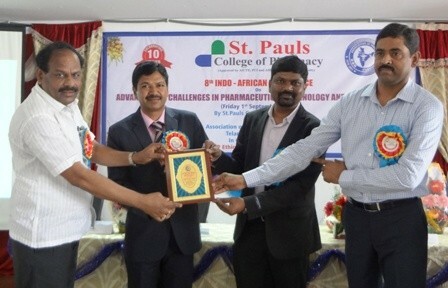 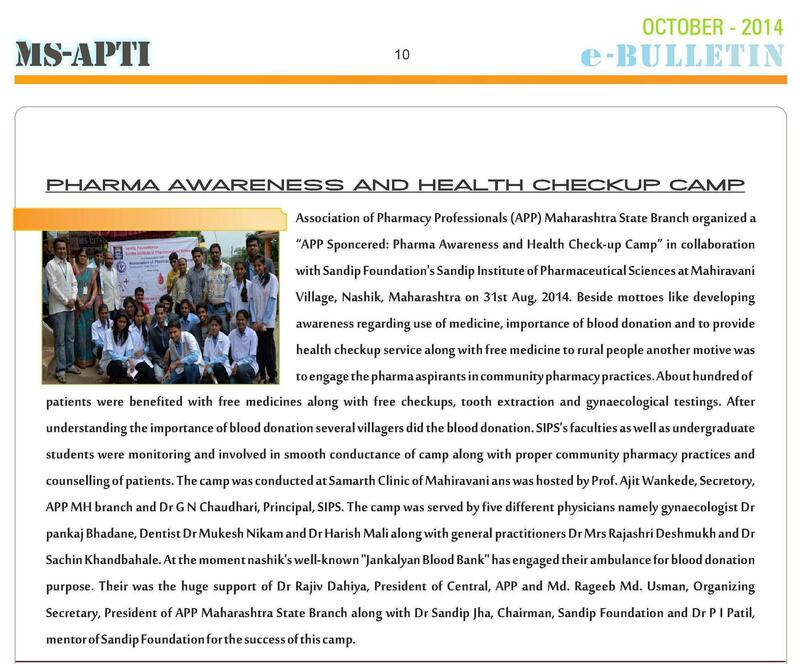 Event was witnessed by Dr. Rita Mourya from School of Pharmacy, University of Gondar, Ethiopia as ‘Chief Guest’; Sri Mittapalli Venkata Koteswara Rao, Chairman, Narasaraopeta Institute of Pharmaceutical Sciences as ‘Patron’; Dr. J. N. Suresh Kumar, Principal, Narasaraopeta Institute of Pharmaceutical Sciences, Narasaraopeta, Andhra Pradesh as ‘Convener’; Dr. Suresh V. Chennupati, Vice President, APP Ethiopian International Branch from Wollega University, Nekemte, Ethiopia as ‘Co-convener’ and Dr. Rajiv Dahiya, President APP and Director, School of Pharmacy, FMS, The University of the West Indies, Trinidad & Tobago as ‘Organizing Chairman’ and Dr. Sunita Dahiya, General Secretary APP as ‘Scientific Committee Chairman’ in absentia. 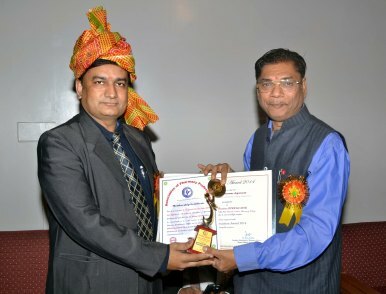 Programme was initiated by welcome of all the guests on the dias with bouquet of flowers followed by lightening of the lamp. 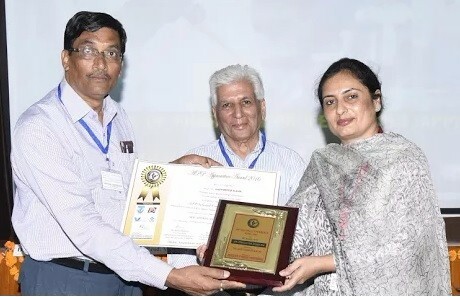 Scientific session was initiated with lecture of Dr. Rita Mourya from School of Pharmacy, University of Gondar, Ethiopia, who addressed the gathering on ‘Hyperglycemia Managment: Herbal Trends and Remedies‘.Scientific session was continued with lecture of Dr. Kuntal Das, President, APP Karnataka State Branch and Professor, Krupanidhi College of Pharmacy, Bangalore, Karnataka, on the topic ‘Development of Herbal Drugs from Plant Sources through Systemic Standardization‘. 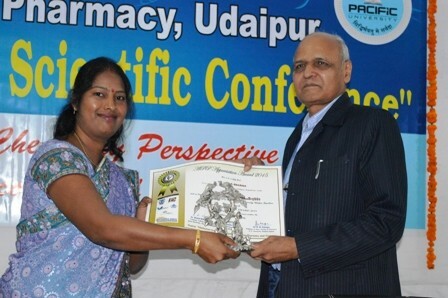 Session was ended with lecture of Dr. A. Lakshman Rao, Principal, V. V. Institute of Pharmaceutical Sciences, Gudlavalleru, Andhra Pradesh, on the topic ‘Need of Natural Product Based Research in Pharmaceuticals‘. 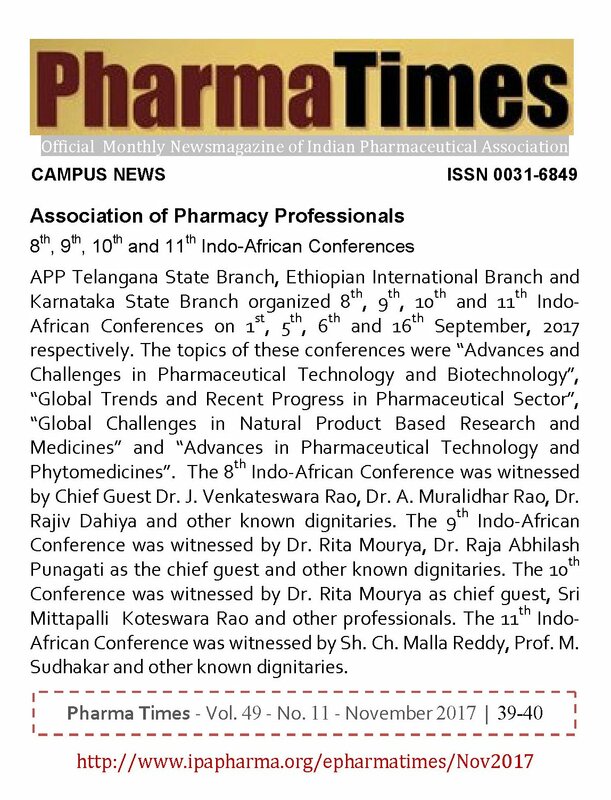 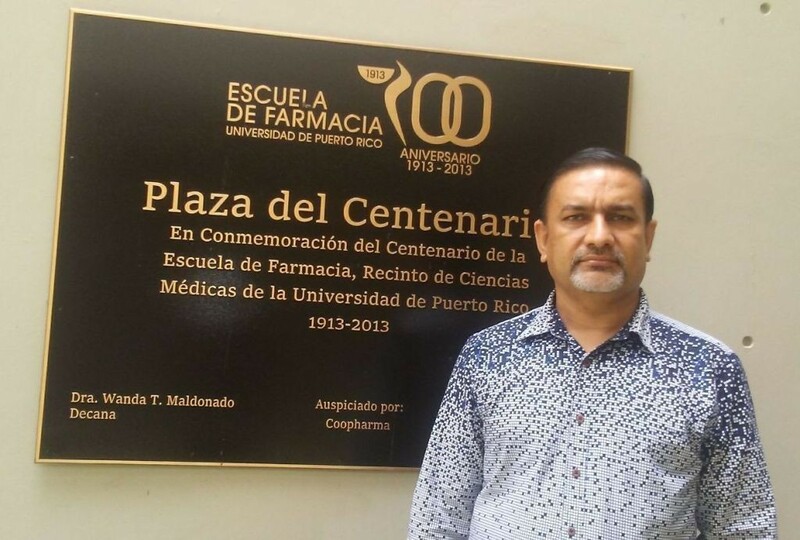 Prof. Rao discussed about natural products in drug discovery, herbal medicines, polyherbal formulations and clinical trials in natural products. 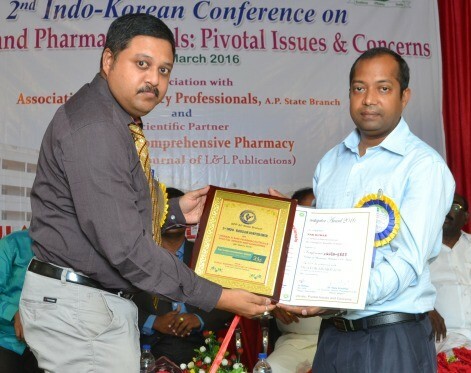 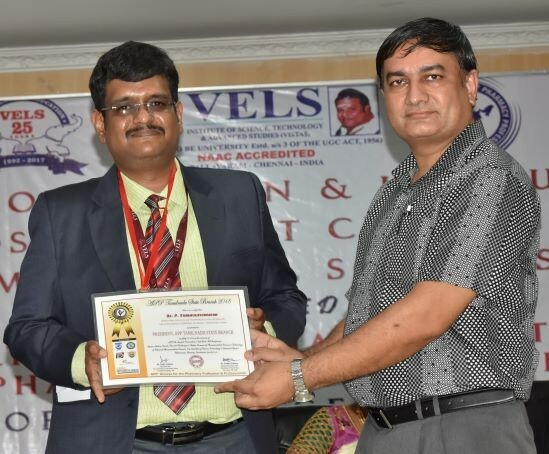 Conference was attended and participated by more than 300 delegates, including Dr. Ravi Shankar from Vignan Pharmacy College, Guntur; Dr. Sudhakar Babu from A. M. Reddy Pharmacy College, Narasaraopeta; Dr. Prasad Rao, Principal, Siddhartha Institute of Pharmaceutical Sciences, Jonnaagadda, Guntur. 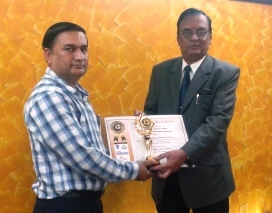 During the valedictory function, Sri Mittapalli Chakravarthi, Director, NIPS, was conferred with ‘APP Appreciation Award’. 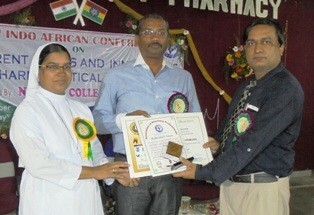 At the end, Ms. Kolapalli Sai Venkata Nikitha, Pharm D. Student and Ms. Chandra Manasa, B. Pharm. 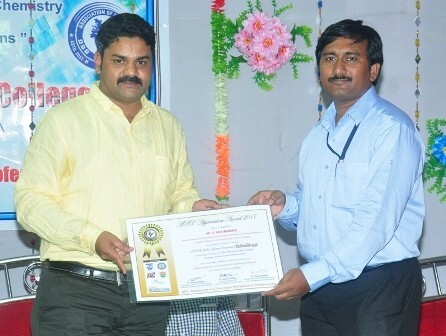 student of Narasaraopeta Institute of Pharmaceutical Sciences, Narasaraopeta and Mr. K. Naga Prashant, faculty at Narasaraopeta Institute of Pharmaceutical Sciences were conferred with ‘Best Student Award 2017‘ and ‘Best Faculty Award 2017‘. 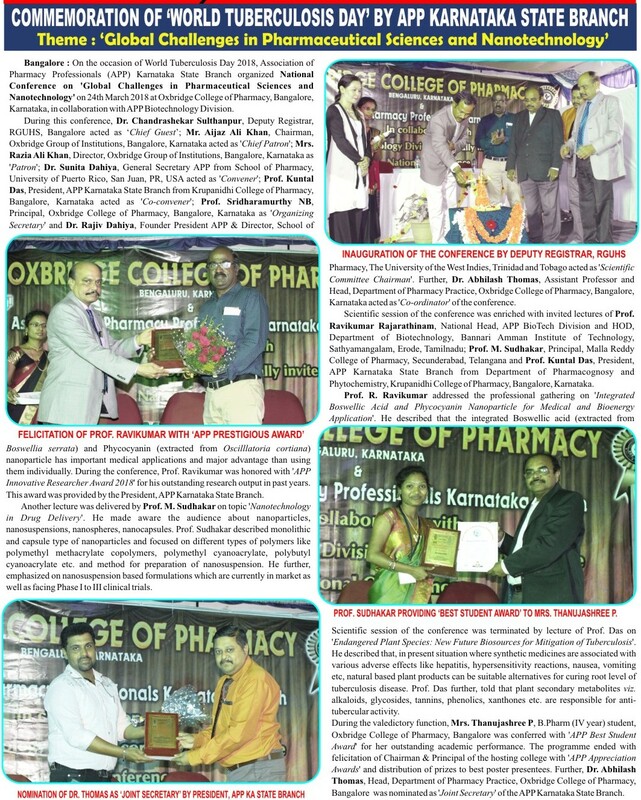 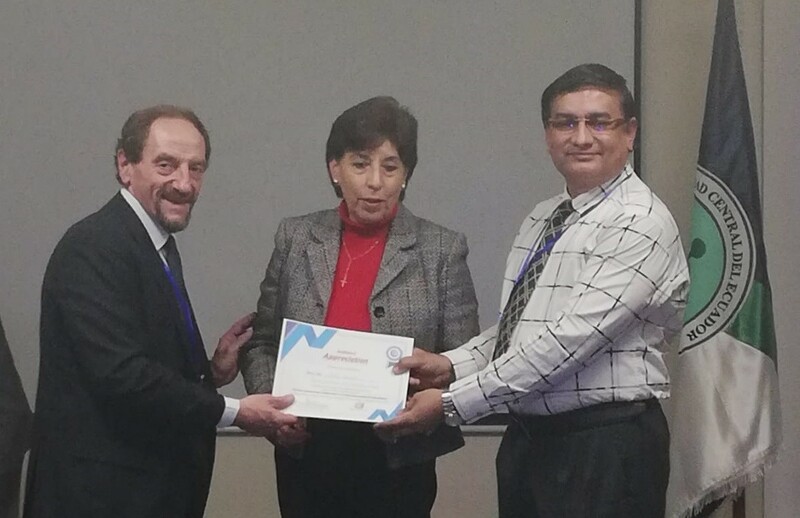 On the occasion of World Tuberculosis Day 2018, Association of Pharmacy Professionals (APP) Karnataka State Branch organized National Conference on ‘Global Challenges in Pharmaceutical Sciences and Nanotechnology’ on March 24, 2018 at Oxbridge College of Pharmacy, Bangalore, Karnataka, in collaboration with APP Biotechnology Division. 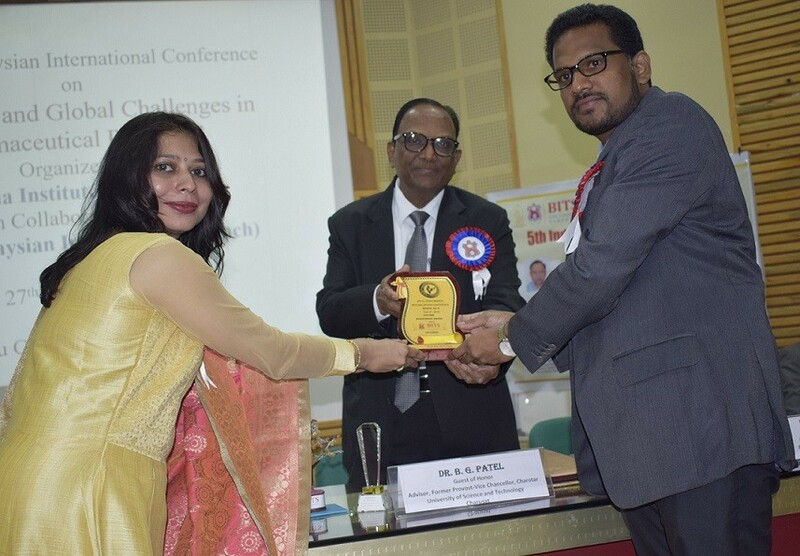 During this conference, Dr. Chandrashekar Sulthanpur, Deputy Registrar, RGUHS, Bangalore acted as ‘Chief Guest’; Mr. Aijaz Ali Khan, Chairman, Oxbridge Group of Institutions, Bangalore, Karnataka acted as ‘Chief Patron’; Mrs. Razia Ali Khan, Director, Oxbridge College of Pharmacy, Bangalore, Karnataka as ‘Patron’; Dr. Sunita Dahiya, General Secretary APP from School of Pharmacy, University of Puerto Rico, San Juan, PR, USA acted as ‘Convener’; Prof. Kuntal Das, President, APP Karnataka State Branch from Krupanidhi College of Pharmacy, Bangalore, Karnataka acted as ‘Co-convener’; Prof. Sridharamurthy NB, Principal, Oxbridge College of Pharmacy, Bangalore, Karnataka as ‘Organizing Secretary’ and Dr. Rajiv Dahiya, Founder President APP & Director, School of Pharmacy, The University of the West Indies, Trinidad and Tobago acted as ‘Scientific Committee Chairman’. 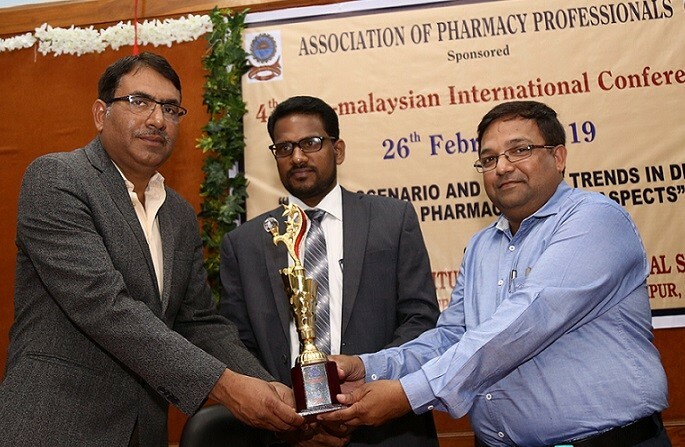 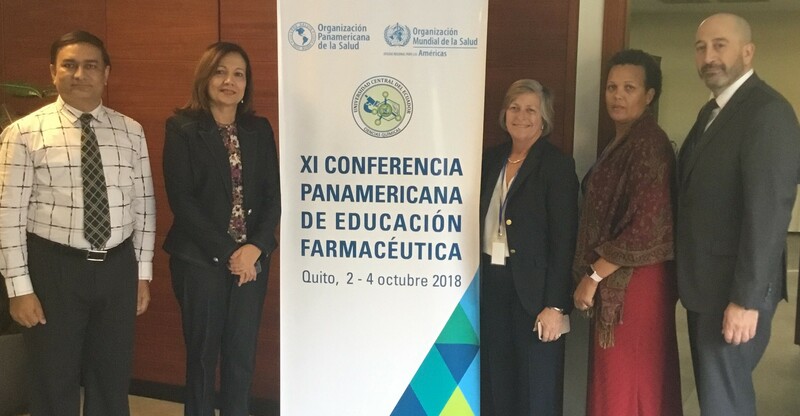 Further, Dr. Abhilash Thomas, Head, Department of Pharmacy Practice, Oxbridge College of Pharmacy, Bangalore, Karnataka acted as ‘Co-ordinator’ of the conference. 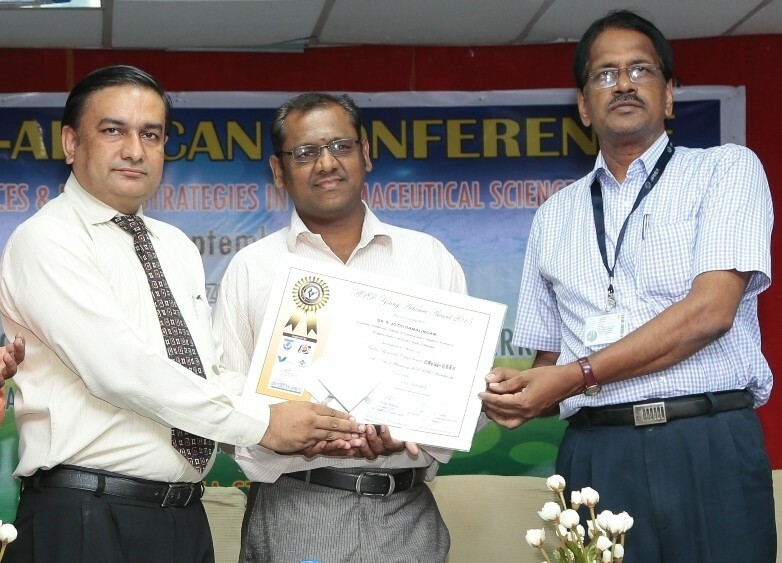 Scientific session of the conference was enriched with invited lectures of Prof. Ravikumar Rajarathinam, National Head, APP BioTech Division and HOD, Department of Biotechnology, Bannari Amman Institute of Technology, Sathyamangalam, Erode, Tamilnadu; Prof. M. Sudhakar, Principal, Malla Reddy College of Pharmacy, Secunderabad, Telangana and Prof. Kuntal Das, President, APP Karnataka State Branch from Department of Pharmacognosy and Phytochemistry, Krupanidhi College of Pharmacy, Bangalore, Karnataka. 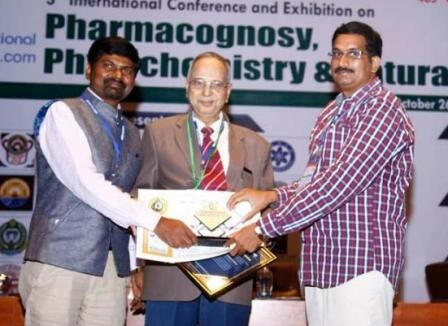 Prof. R. Ravikumar addressed the professional gathering on ‘Integrated Boswellic Acid and Phycocyanin Nanoparticle for Medical and Bioenergy Application’. 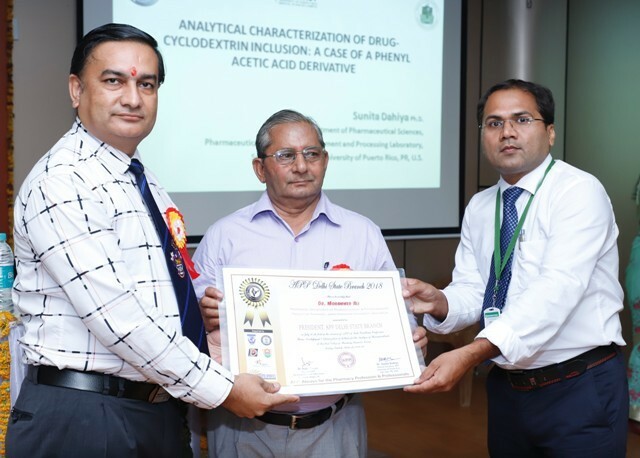 He described that the integrated Boswellic acid (extracted from Boswellia serrata) and Phycocyanin (extracted from Oscilllatoria cortiana) nanoparticle has important medical applications and major advantage than using them individually. 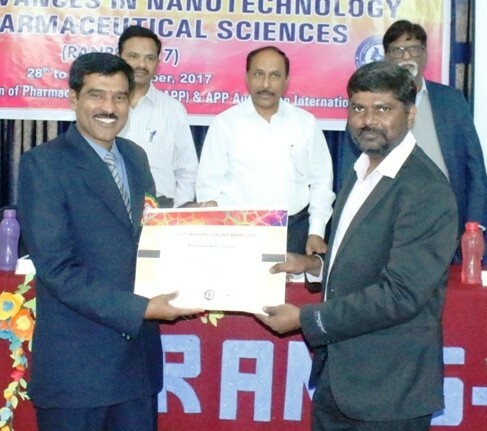 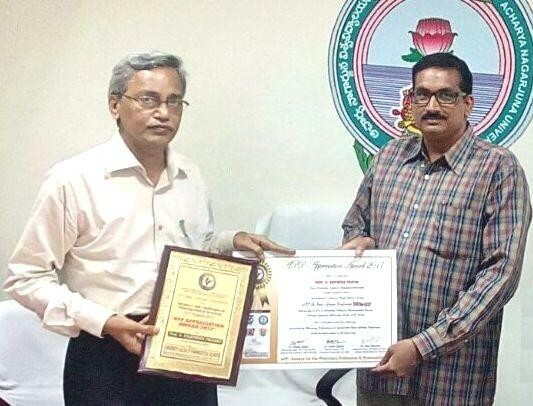 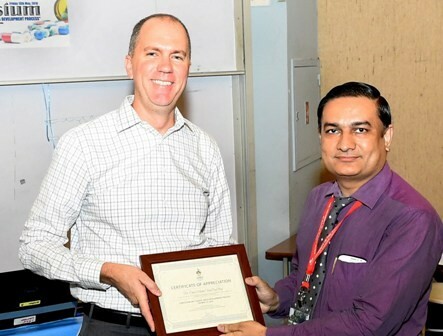 Prof. Ravikumar was honored with ‘APP Innovative Researcher Award 2018’ for his outstanding research output in past years. 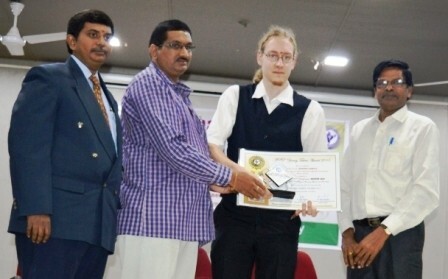 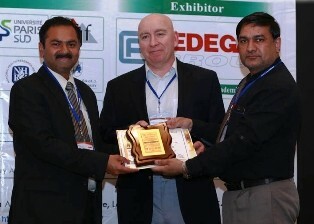 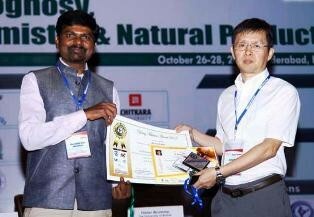 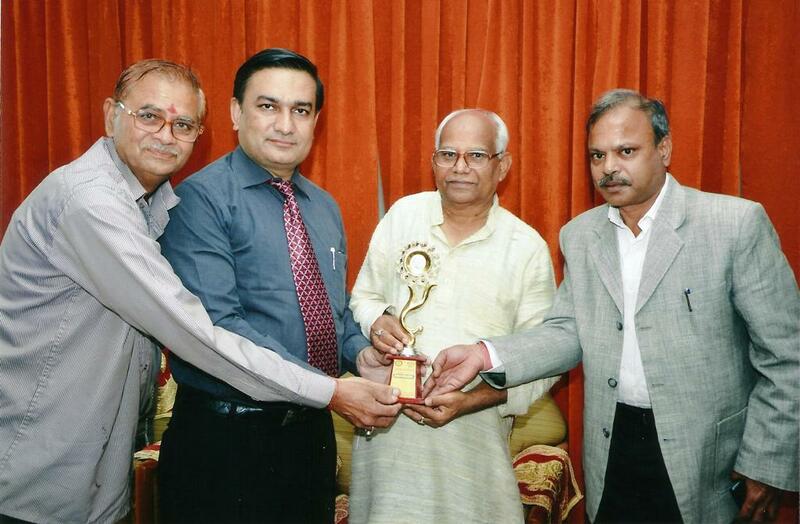 This award was provided by the President, APP Karnataka State Branch. 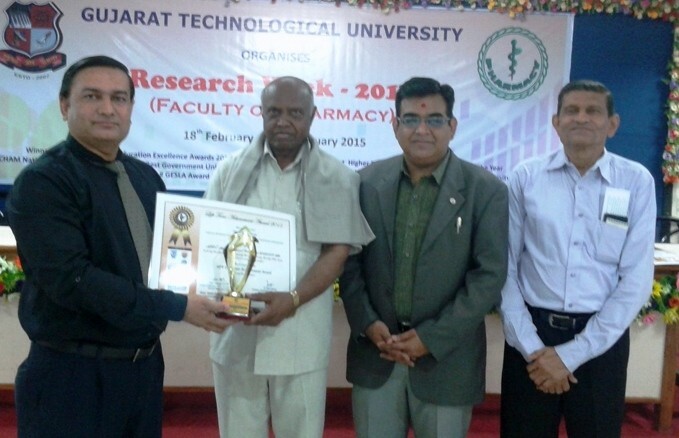 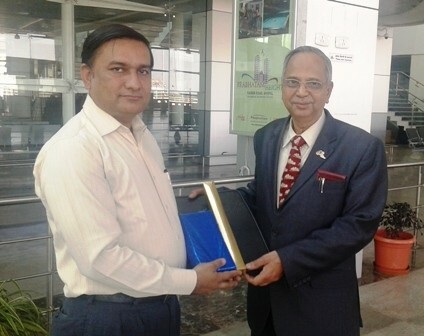 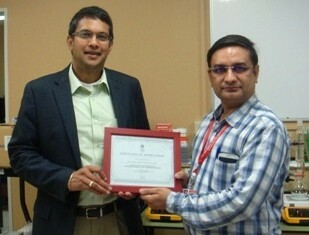 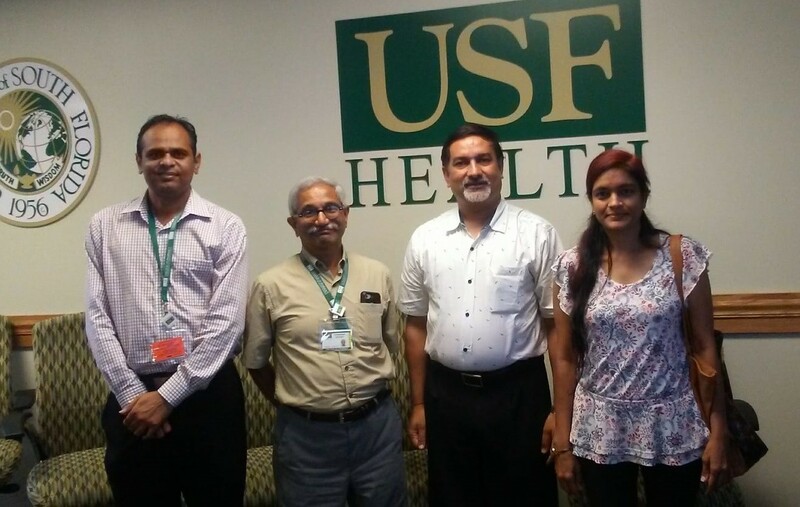 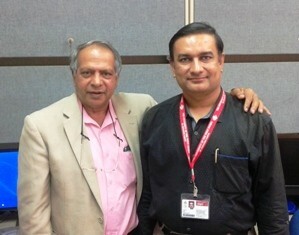 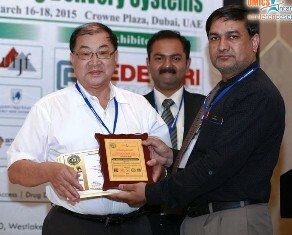 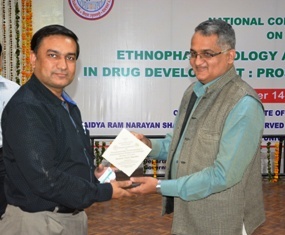 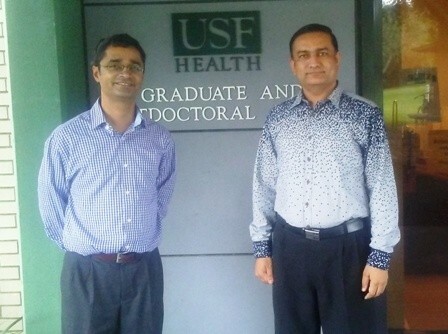 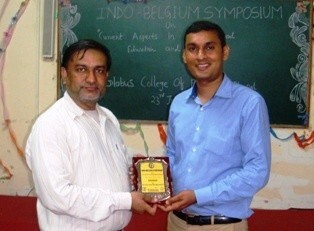 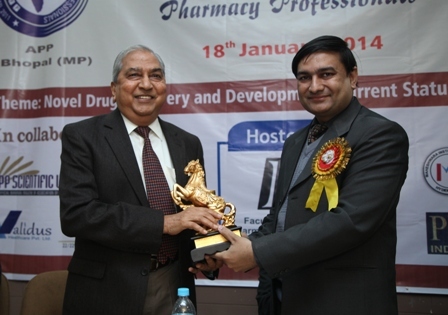 Prof. M. Sudhakar delivered a lecture on ‘Nanotechnology in Drug Delivery’. 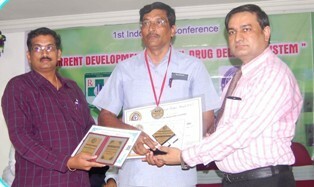 He made aware the audience about nanoparticles, nanosuspensions, nanospheres, nanocapsules. 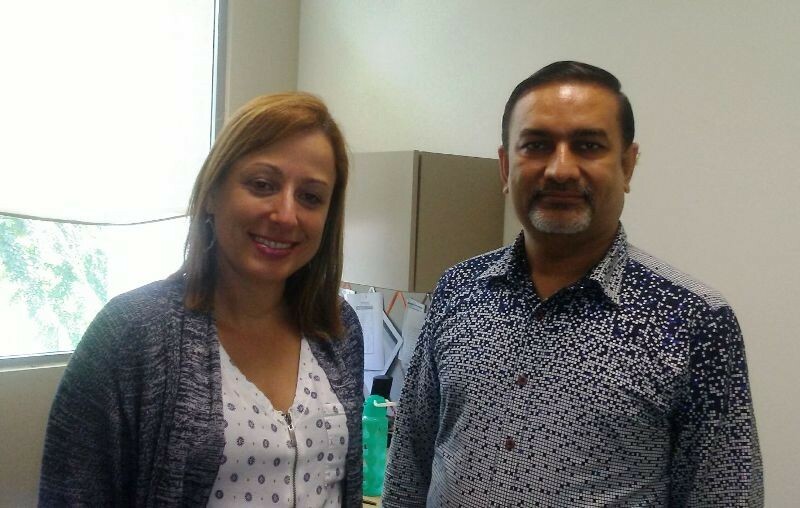 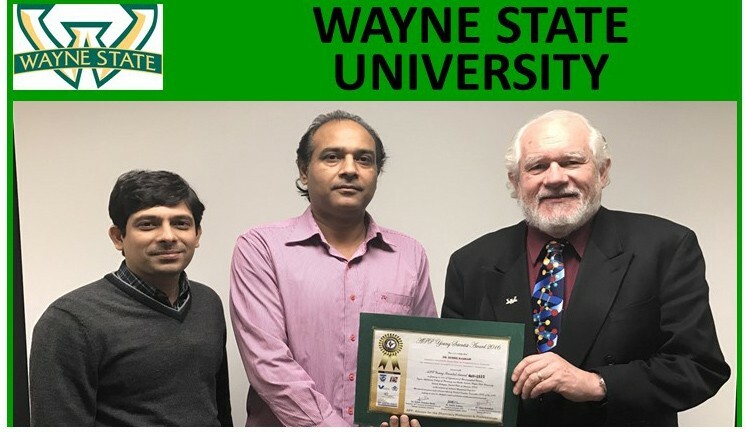 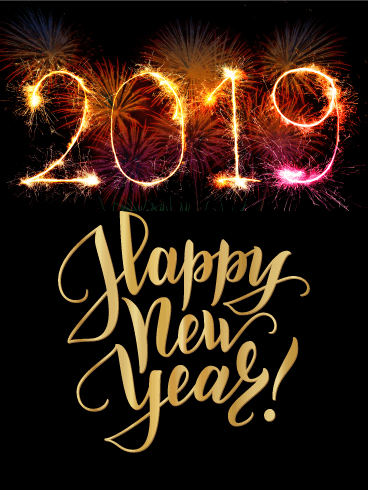 Prof. Sudhakar described monolithic and capsule type of nanoparticles and focused on different types of polymers like polymethyl methacrylate copolymers, polymethyl cyano- acrylate, polybutyl cyanoacrylate etc. 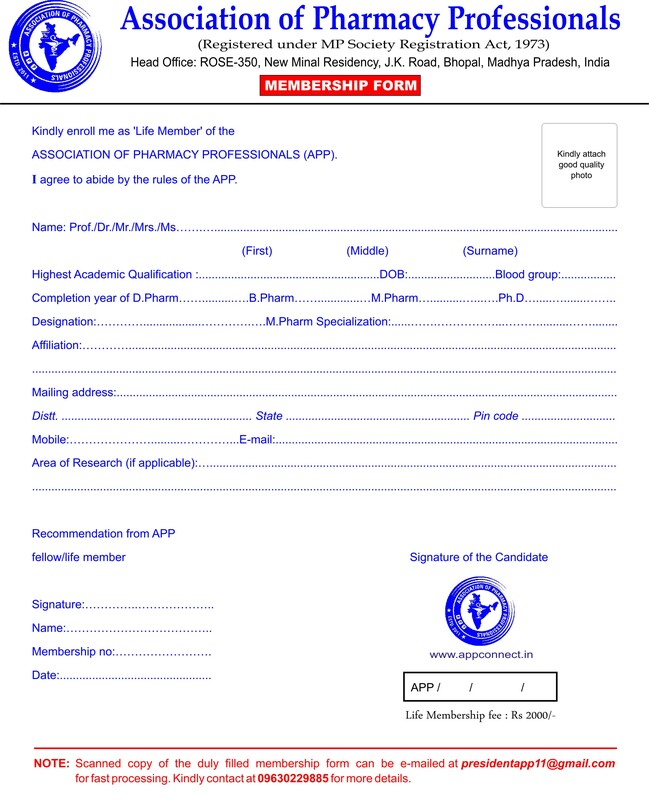 and method for preparation of nanosuspension. 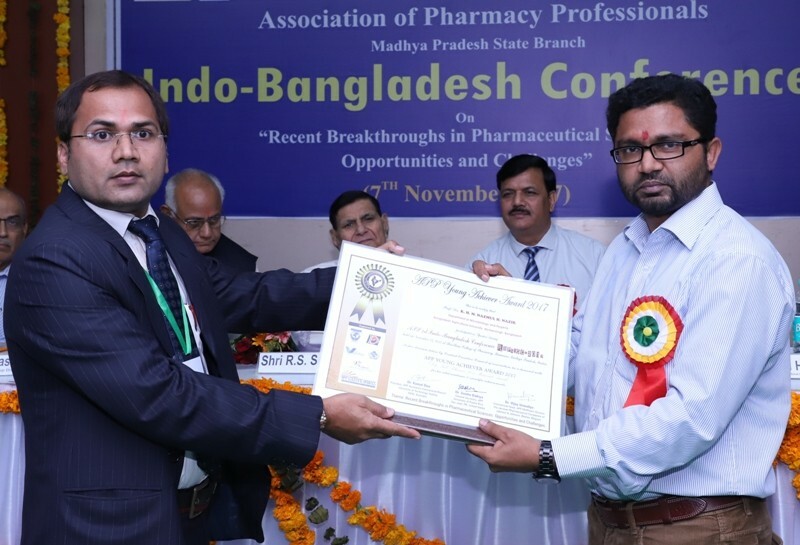 He further, emphasized on nanosuspension based formulations which are currently in market as well as facing Phase I to III clinical trials. 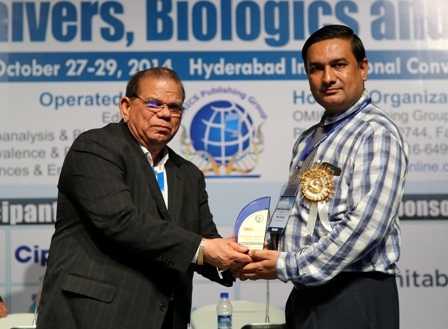 Scientific session of the conference was terminated by lecture of Prof. Kuntal Das on ‘Endangered Plant Species: New Future Biosources for Mitigation of Tuberculosis’. 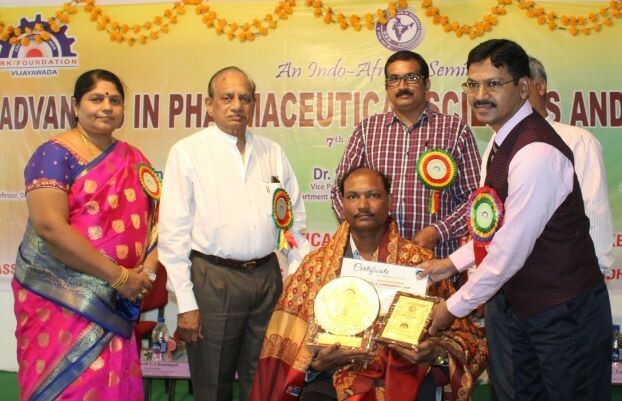 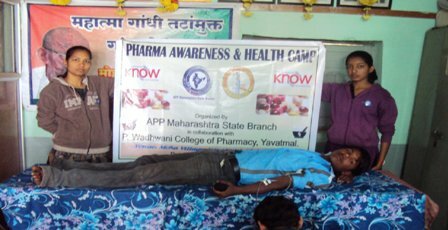 He described that, in present situation where synthetic medicines are associated with various adverse effects like hepatitis, hypersensitivity reactions, nausea, vomiting etc, natural based plant products can be suitable alternatives for curing root level of tuberculosis disease. 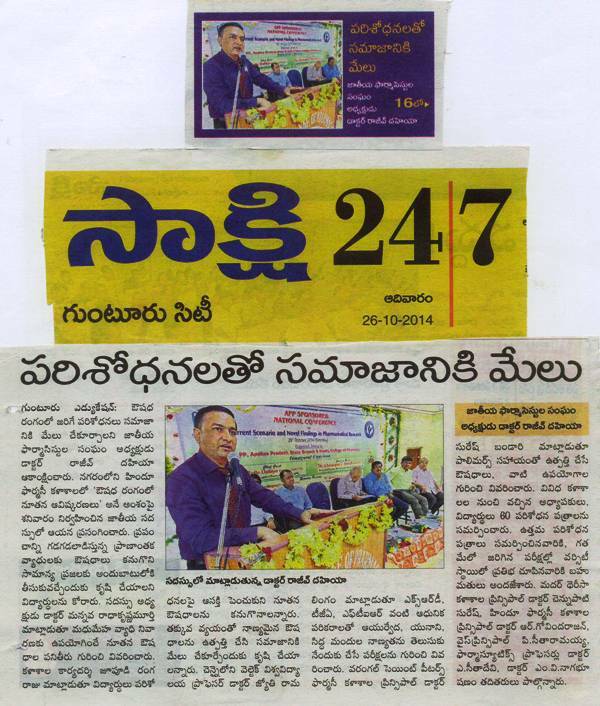 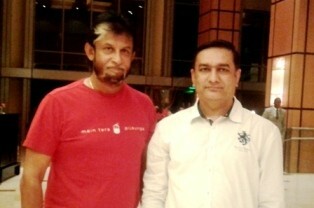 Prof. Das further, told that plant secondary metabolites viz. 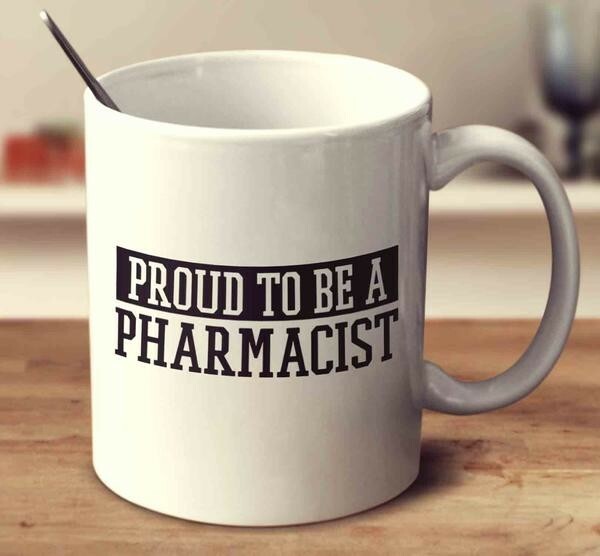 alkaloids, glycosides, tannins, phenolics, xanthones etc. 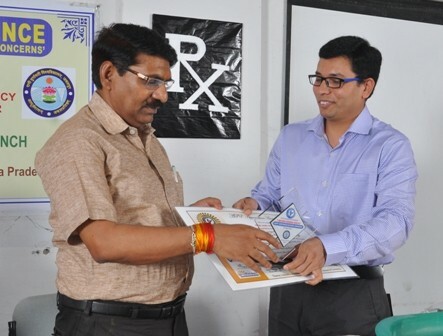 are responsible for anti-TB activity. 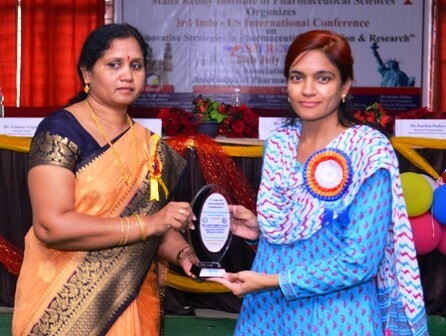 During the valedictory function, Mrs. Thanujashree P, B.Pharm (IV year) student, Oxbridge College of Pharmacy, Bangalore was conferred with ‘APP Best Student Award’ for her outstanding academic performance. 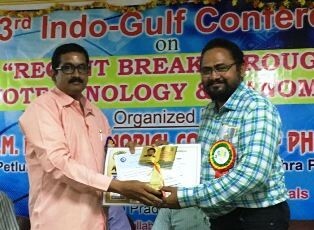 The programme ended with felicitation of Chairman & Principal of the hosting college with ‘APP Appreciation Awards’ and distribution of prizes to best poster presentees. 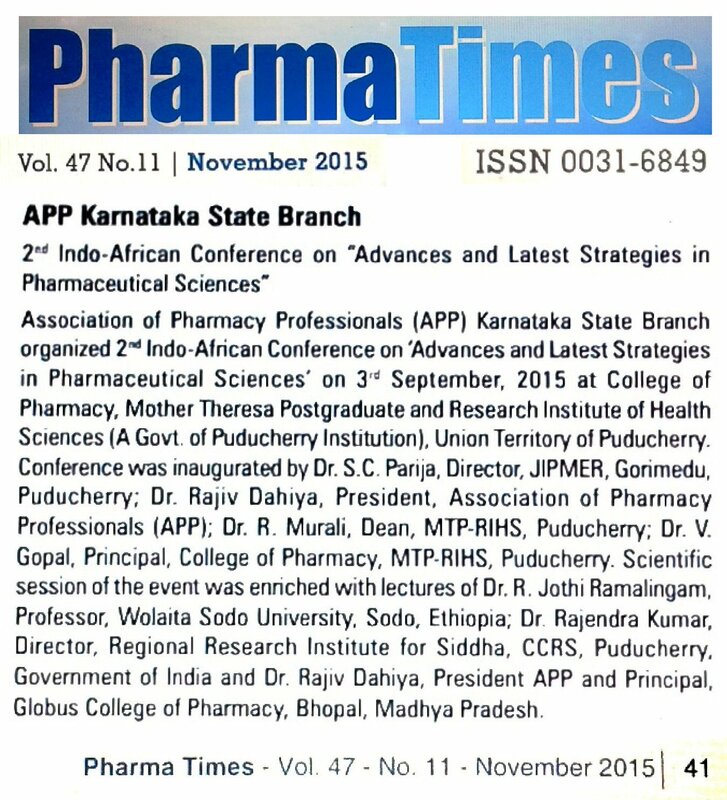 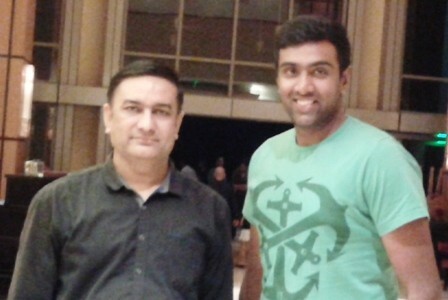 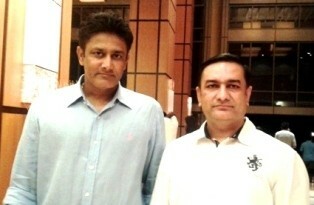 Further, Dr. Abhilash Thomas was nominated as ‘Joint Secretary’ of the APP Karnataka State Branch. 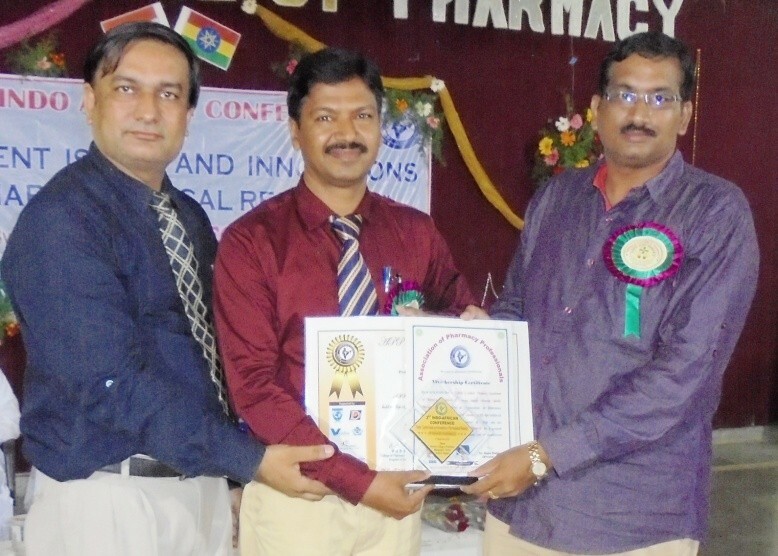 Association of Pharmacy Professionals (APP) Karnataka State Branch and APP Malaysian International Branch organized 2nd Indo Malaysian Conference on “Recent Trends and Challenges in Pharmaceutical and Clinical Research” at RBVRR Womens College of Pharmacy, Barkathpura, Hyderabad, Telangana on 6th October 2018. 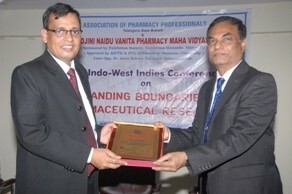 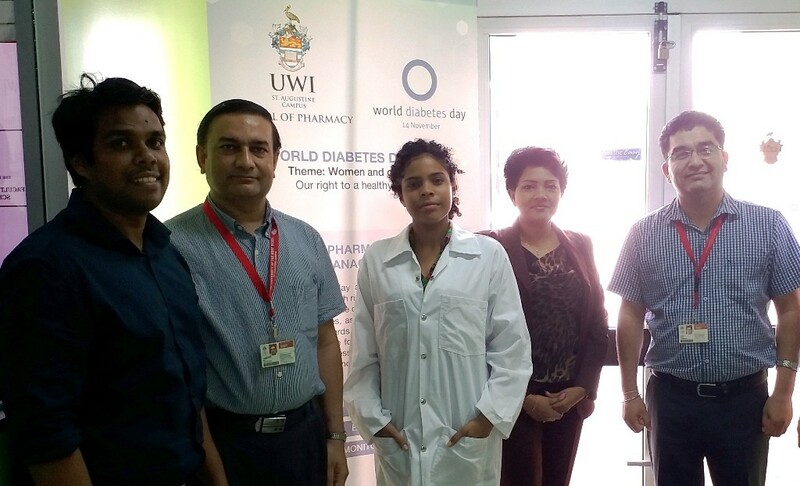 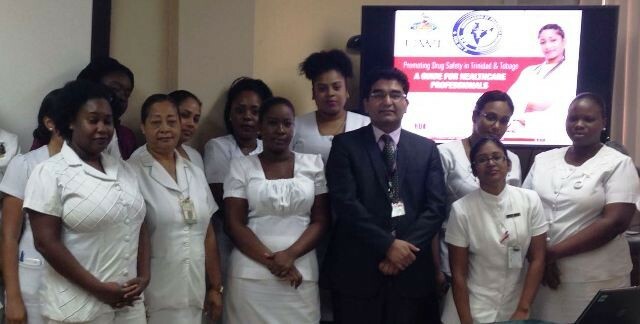 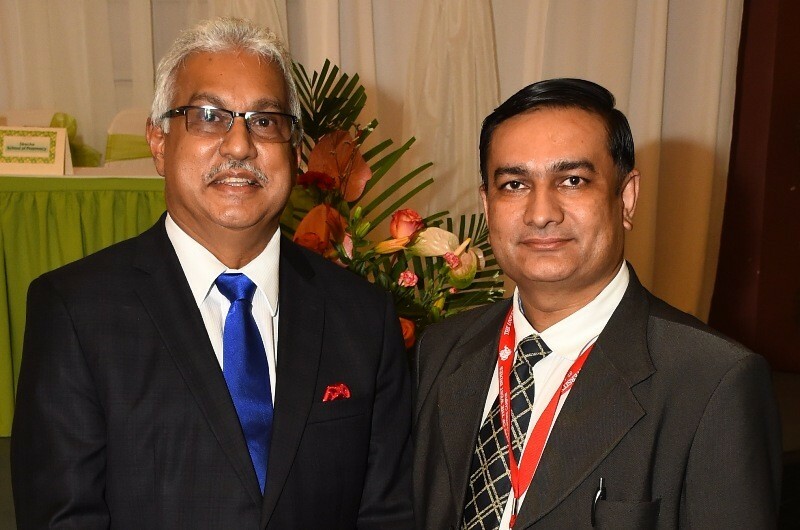 During this APP-RBVRR collaborative conference, Dr. K. Jaya Raja Kumar, President, APP Malaysian International Branch from Faculty of Pharmacy, AIMST University, Bedong, Semeling, Kedha, Malaysia acted as ‘Convener‘; Dr. Rajiv Dahiya, Director, School of Pharmacy, Faculty of Medical Sciences, The University of the West Indies, St. Augustine, Trinidad & Tobago as ‘Organizing Chairman’; Prof. Sumakanth M, Principal, RBVRR Womens College of Pharmacy, Barkathpura, Hyderabad as ‘Organizing Secretary‘; Dr. Sunita Dahiya, General Secretary APP from Department of Pharmaceutical Sciences, School of Pharmacy, University of Puerto Rico, San Juan, PR, USA as ‘Scientific Committee Chairman’ and Prof. A. Muralidhar Rao, President, APP Telangana State Branch and Principal, St. Mary’s College of Pharmacy, Secunderabad as ‘Scientific Committee Co-Chairman’. 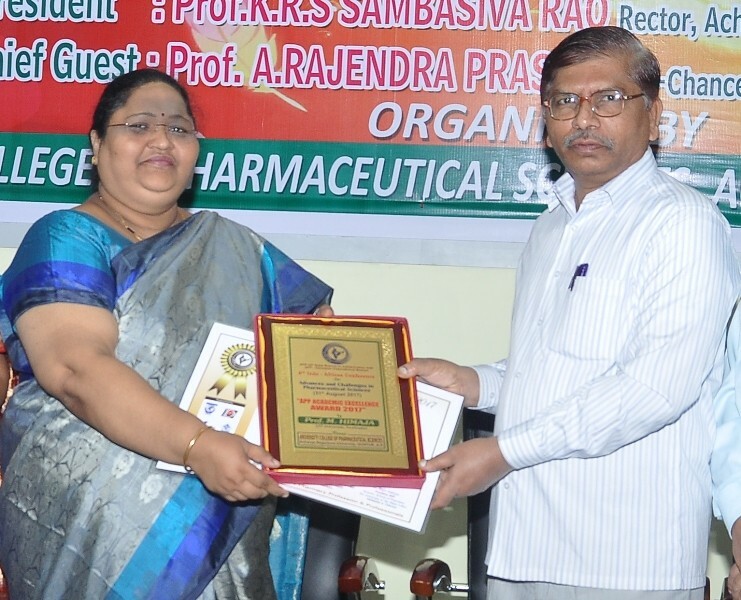 Conference started with welcome speech of Dr. Sudha Parimala, Vice Principal, RBVRR Women’s College of Pharmacy, Barkathpura, Hyderabad. 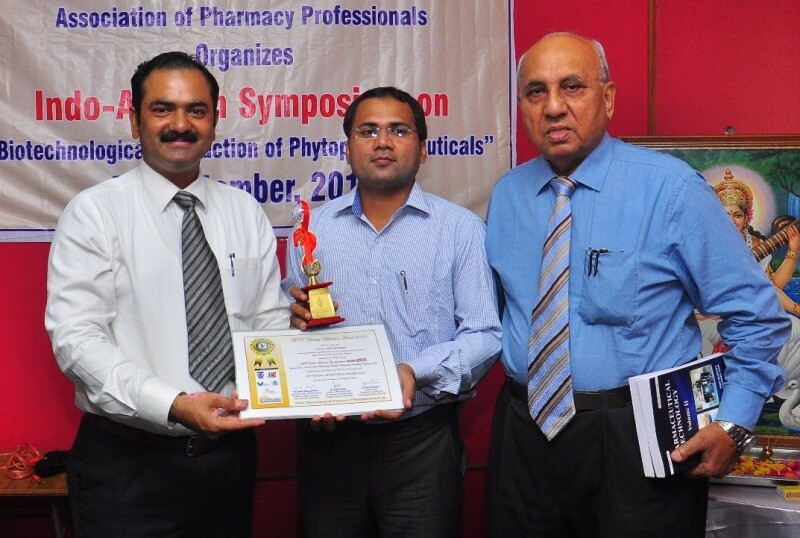 Scientific Session was enriched with lectures of Dr. Vetriselvan Subramaniyan, Associate Professor, Department of Pharmacology, Faculty of Medicine, MAHSA University, Kuala Lumpur, Malaysia; Prof. Kuntal Das, President, APP Karnataka State Branch from Department of Pharmacognosy and Phytochemistry, Krupanidhi College of Pharmacy, Bangalore, Karnataka and Dr. S. Ravinder, General Manager, Axis Clinical Trials, Hyderabad, Telangana. 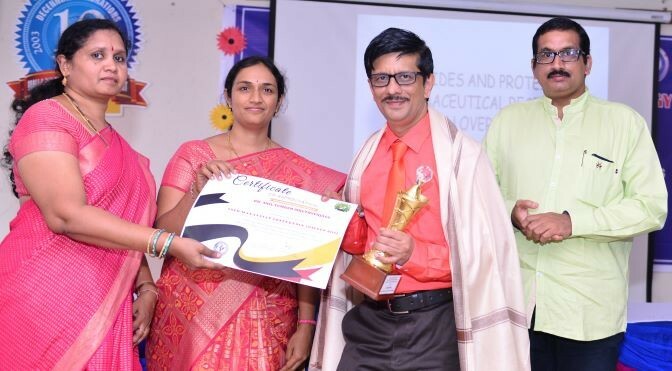 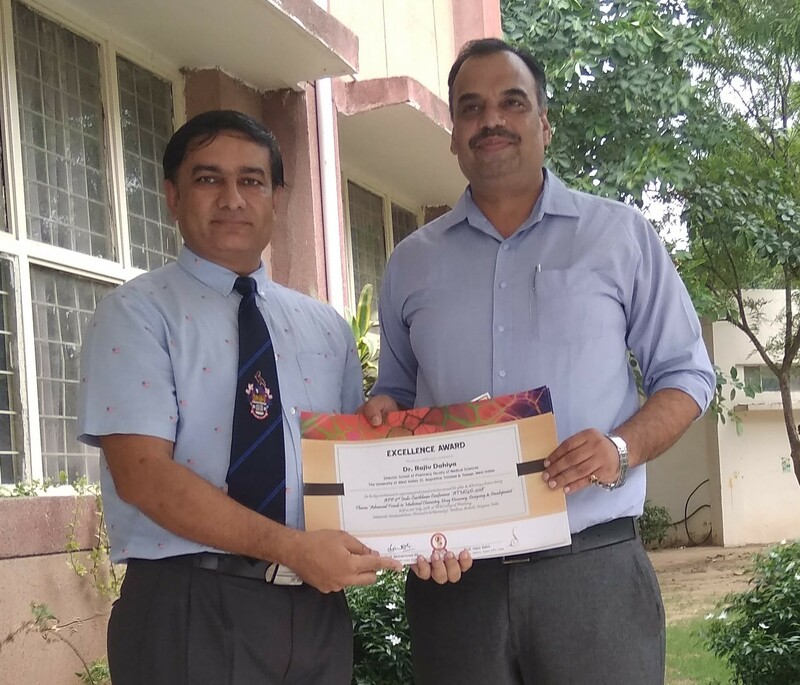 Programme ended with felicitation of Prof. Sumakanth M, Principal, RBVRR Womens College of Pharmacy, Barkathpura, Hyderabad with ‘APP Appreciation Award’ and honoring three best poster awardees with certificates and medals.